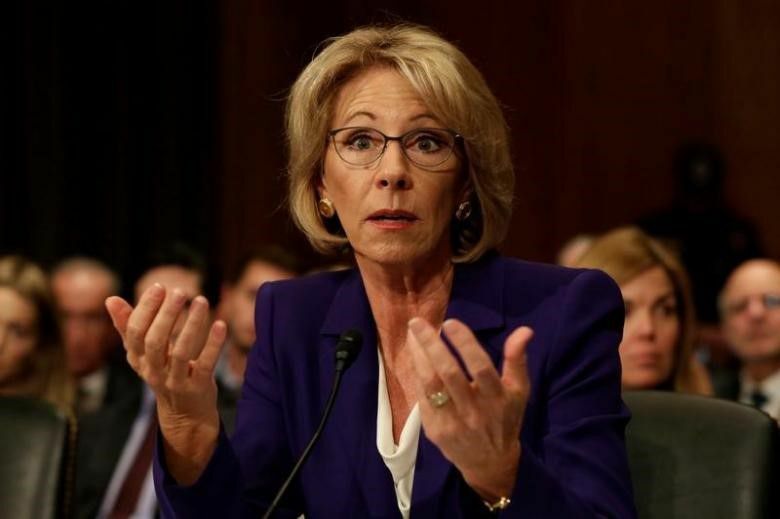 Public refusals on Wednesday by two U.S. Senate Republicans to support Betsy DeVos, President Donald Trump's pick for education secretary, raised the possibility of a rare congressional rejection of a Cabinet nominee. In an ominous sign for Trump, Republican senators Susan Collins and Lisa Murkowski said they would not vote for DeVos, a billionaire philanthropist and charter-school advocate. They would be the first Republicans to break party ranks and vote against one of Trump's cabinet selections. Democrats, uniformly opposed to DeVos, are expected to oppose her as a block. They would only need for three Republicans to side with them to make DeVos just the 10th cabinet nominee in U.S. history to be rejected by Congress.